A new mission architecture to return to the Mun relies on the C-model EV-2 ‘Runabout’. 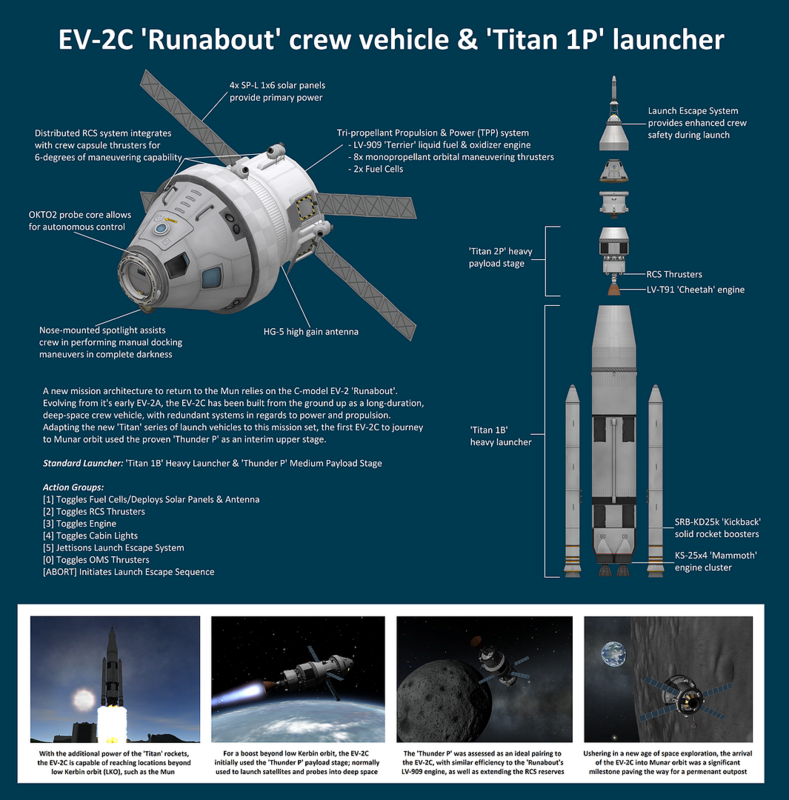 Evolving from it’s early EV-2A, the EV-2C has been built from the ground up as a long-duration, deep-space crew vehicle, with redundant systems in regards to power and propulsion. Adapting the new ‘Titan’ series of launch vehicles to this mission set, the first EV-2C to journey to Munar orbit used the proven ‘Thunder P’ as an interim upper stage.